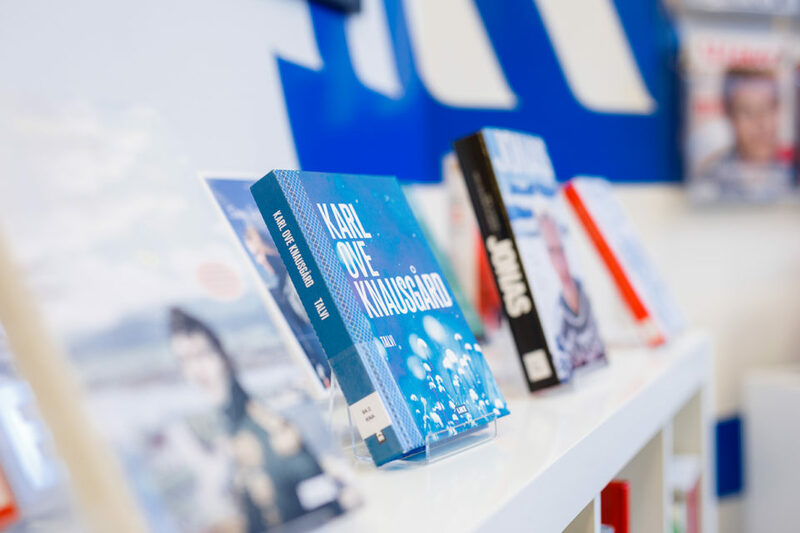 Our cultural centre, located in Kaisaniemi in the heart of Helsinki, runs a Nordic library and arranges cultural events. It is a unique Nordic living room where everyone is welcome. Hope to see you! The library contains fiction by Nordic authors, in all of the Nordic languages, as well as films and TV-series from the Nordic region. The library also has a wide-ranging collection of non-fiction. The newspapers available – among them Dagens nyheter from Sweden, Politiken from Denmark and Aftenposten from Norway – can keep you up to date on current affairs in the Nordic countries. In addition to the newspapers, we have a number of Nordic magazines. You are welcome to make use of our computer workstations and free wi-fi, or just to find a quiet spot to focus on your work, your studies or a book. The children’s section contains music, films, picture books, fiction and non-fiction in Swedish, Finnish, Norwegian, Danish, Icelandic, Faroese and Greenlandic. In the youth section, you can find a collection of Nordic books and films. Renew your loans and look for material in the web library. Are we missing something in our collections? Write your request in the field below and send it to us! We renew our collections regularly. Unfortunately, we cannot realise all requests.